Jaisalmer, April 9, 2017: Northern Motorsport organized India Baja 2017 – Dakar Challenge Series came to its end with a day scintillating action with the completion of the fifth and sixth stage of the competition. The end of the rally brought good news for the Bengaluru based TVS Motorsports rider Abdul Wahid Tanveer who became the third Moto contender from India to qualify for ASO organized Dakar Rally 2018 to be held between Peru – Bolivia – Argentina with a prize worth 20,000 Euros. This also ensures the 26-year-old rider a direct qualification into the Merzouga Rally in Morocco later this year. 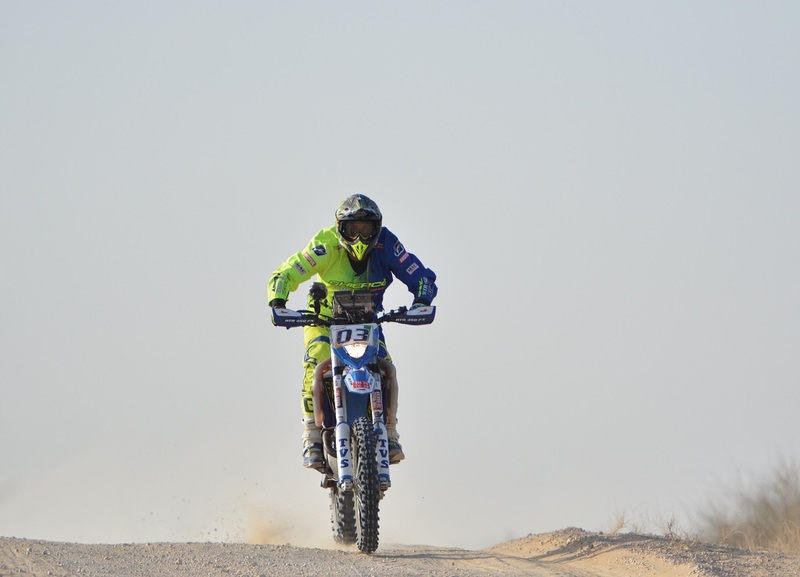 Abdul Wahid Tanveer qualified in spite of being third overall in Moto category because Rodrigues and Aravind have already competed in the Dakar Rally, which gives them an automatic qualification for the same. Hence, giving an opportunity to a new Indian rider to make it to the prestigious Dakar Rally. 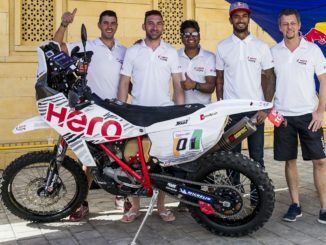 The results at the end of the rally saw Portuguese – Dakar Rally rider from Hero Motorsports – Joaquim Rodrigues win India Baja 2017 with almost a lead of 25 minutes followed by Aravind KP of TVS Racing at the second place and his team mate Abdul Wahid Tanveer finishing in the third place with an approximate difference of 15 minutes from Aravind KP. 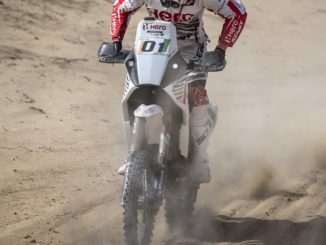 Building on his overall lead Joaquim made a strong start in the fifth stage on a hot morning in the Thar Desert of Rajasthan and ended the sixth stage with a world class display of riding to win the India Baja 2017 only on his first ever appearance in India. Aravind KP who trailed by 18 minutes on Day 1 of the rally made very strong efforts to come back but the difference proved to be too much for the Indian rider. Abdul Tanveer on the other hand maintained a sustained run to ensure his third position beating his rival and teammate R. Nataraj who was in the fourth position at the end of four stages of the rally. The Xtreme category saw a very strong competition between Raj Singh Rathore and Gaurav Chiripal who trailed by 1 minute at the end of the first four stages. Gaurav Chiripal who was driving a modified Vitara was finally able to make his efforts count as he beat Raj Singh Rathore in the time trial in the last two stages of the rally making it his first ever win in the India Baja 2017 rally. Gaurav Chiripal as a result of his win will now get a direct entry into MS Desert Storm to be held next year. 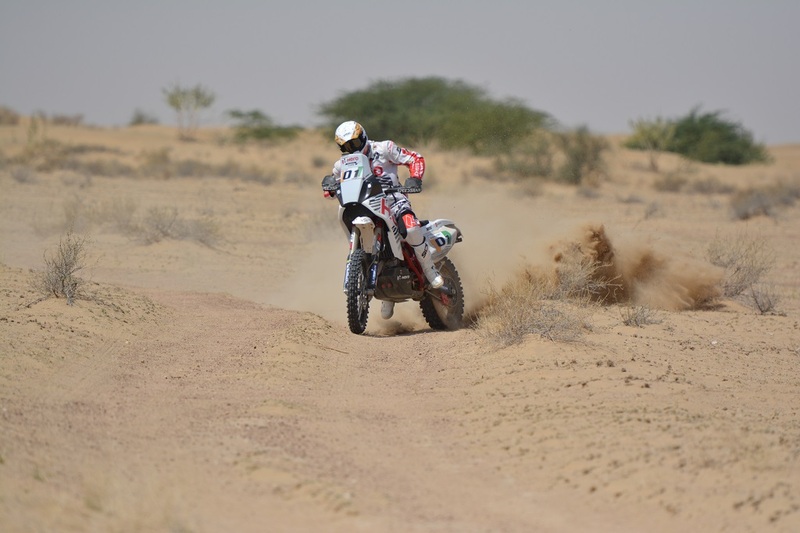 The final results in the Xtreme category saw Gaurav Chiripal clinching first position followed by Raj Singh Rathore with a difference of about five minutes from the leader. The third position went to Himanshu Arora who made a splendid display of character in 1350 CC gypsy. Moto: 1. Joaquim Rodrigues 04:45:22 seconds; 2. Aravind K.P. 05:10:46 secs; 3. Abdul Tanveer 05:25:44secs. Northern Motorsports created India Baja in 2016 with the aim of giving Indian riders a chance to compete at the international level. The race was conceived on the lines of the Baja races that is extremely popular in Europe. The Baja format involves racing from dawn to dusk. The tight schedule of stages and long competitive distances make it an extremely challenging format.